Unisex 4.3 oz. 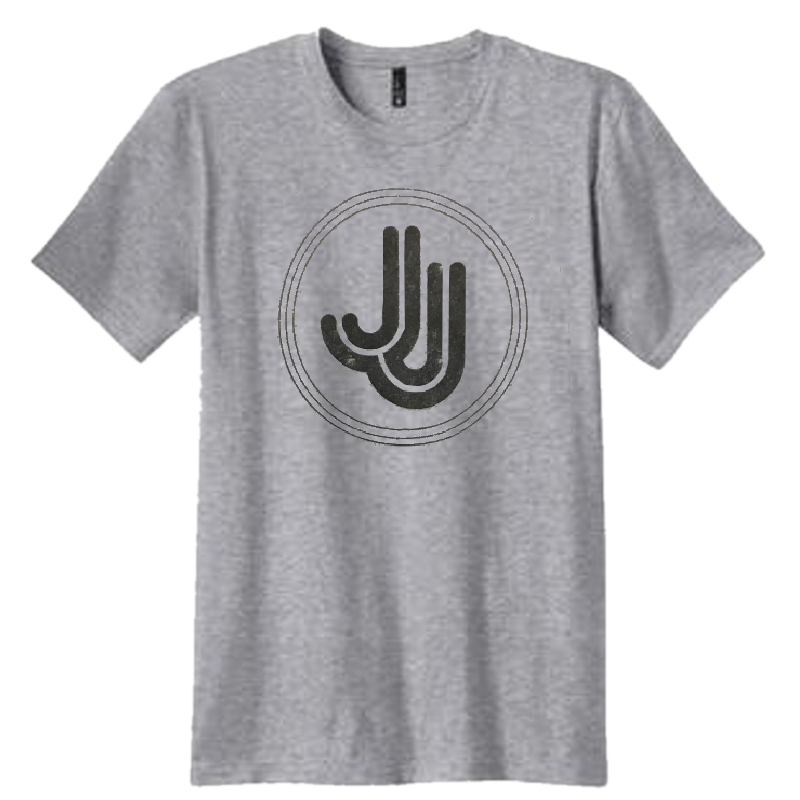 90/10 soft spun cotton/poly heather grey tee. 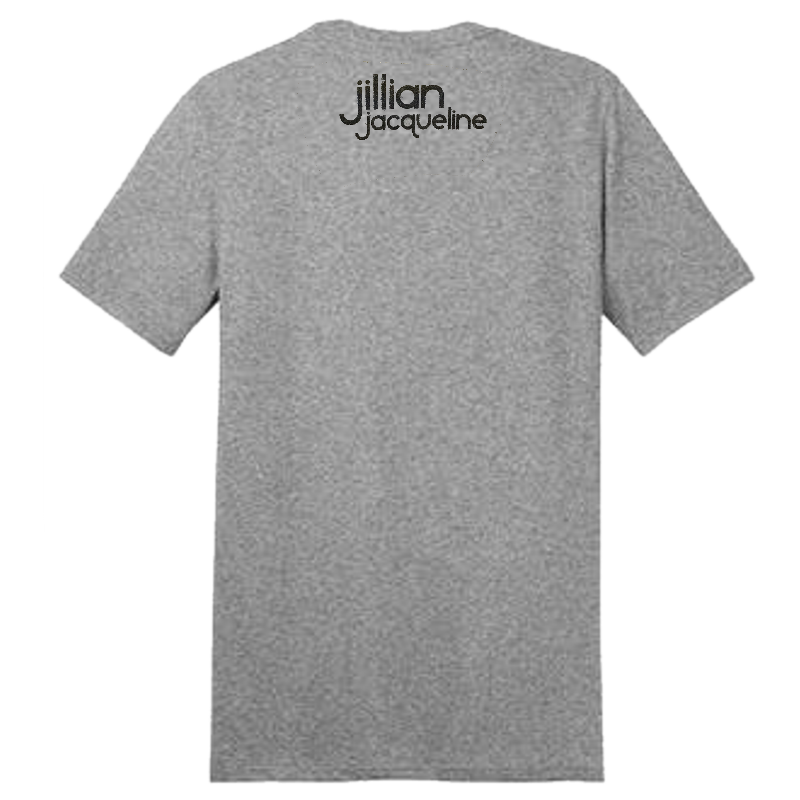 JJ logo on the front and Jiliian Jacqueline logo on the back.